We wanted to wish you all a Very Merry Christmas! 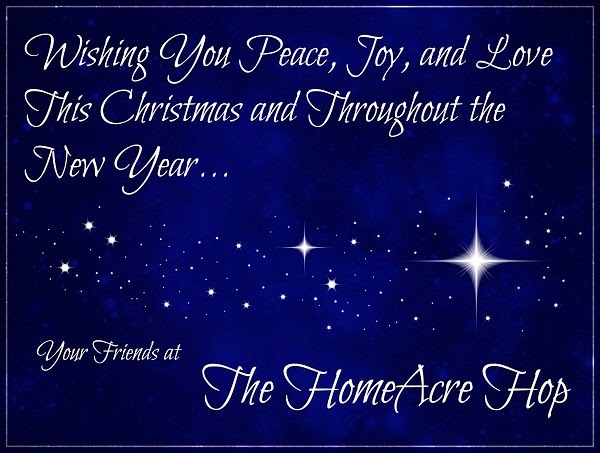 Look forward to seeing you next week for the New Years HomeAcre Hop! Merry Christmas! Hope it was Merry and Bright! Sandra - Merry Christmas to you too and we are sending Peace and Joy right back to you throughout the coming year. Looking forward to reading more from you in 2015.